Doormen are commonly associated with upscale hotels or apartments in major cities. Sometimes holding the title of door attendant, these workers also serve hospitals, stores, and nightclubs. 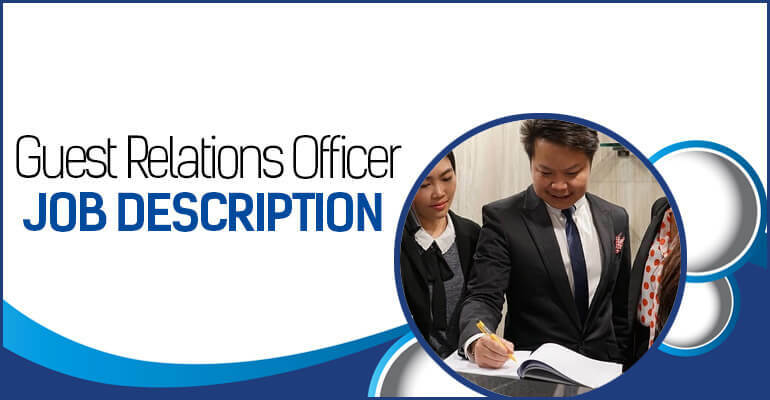 The specific functions and qualifications included in the doorman job description might vary by type of employer. 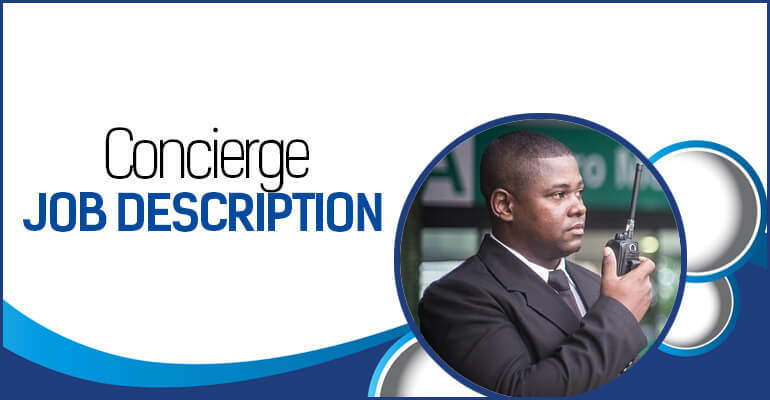 As the following job description explains, doormen need to hold a variety of abilities in order to deliver enjoyable and safe experiences to guests and occupants of establishments. What Does a Doorman Professional Do? A doorman does not function as a statute outside establishments or simply open doors. The job description of a doorman highlights the responsibilities for customer service and guest safety. As to the latter, a door attendant guards against the impact of troublemakers and criminals and may be called upon to perform life-saving techniques. Greet guests, visitors, and others with business at the hotel, store, apartment or office complex. Carry luggage, newspaper, and other items to rooms of guests. Answer guests’ questions about hotel amenities, restaurants, and attractions. Direct guests to the area or local establishments, such as restaurants, stores, theaters, and attractions. Guide shoppers in retail stores to departments, service desk, restrooms or other areas where shoppers wish to visit. Screen would-be entrants into the building. Request visitors to buildings, especially apartments or lodging, sign-in at the front desk. Monitor activities at entrances and lobbies. 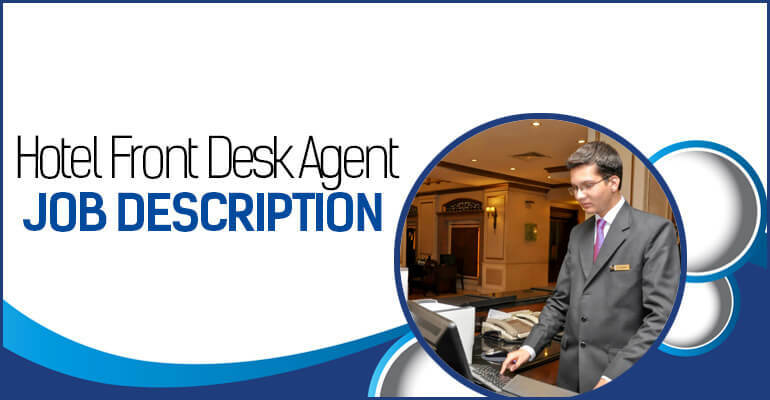 Report suspicious or criminal activity to law enforcement and hotel management or front-desk supervisor. Parking vehicles for guests or tenants. Detail-Oriented. Doormen must continually observe and be aware of suspicious behavior by guests, occupants or those around buildings. The doorman job description includes noticing those who do not sign-in or try to enter unauthorized or nonpublic areas and having awareness of needs of guests. Moreover, at retail stores, the door attendant must listen for activation of shoplifting alarms and shoppers who appear to be concealing merchandise as they depart. Customer Service Skills. The doorman job description includes the provision of respectful and professional customer service. Guests need or will appreciate careful handling of luggage and their other belongings and prompt responses to other service requests. In especially high-profile tourist areas or large cities, guests tend to come from many cultures or speak different languages. First Aid Skills. In some settings, a door attendant may need to have the ability to perform First aid. Also, these skills may include CPR, bandaging and working with Automated External Defibrillators (AEDs). Physical Skills. 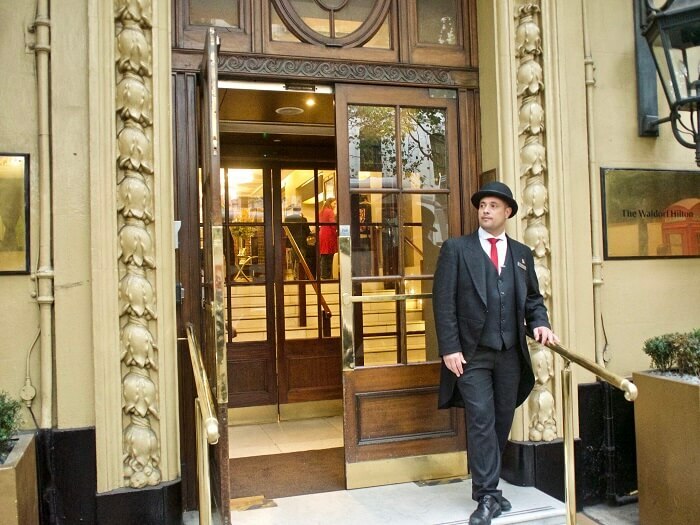 Walking and standing for long periods of time is part of the physical activities of doormen. These workers must be able to lift and carry sometimes heavy luggage through hallways or other lengthy areas to guest rooms. Depending on the season, doormen may have to withstand periods of working in hot or cold weather. While in clubs doorman may have to use physical force to restrain or eject unruly patrons. The doorman position normally does not involve formal education or training. However, applicants should be able to demonstrate familiarity with the hospitality industry or the ability to serve customers and guests and protect property. Where the doorman job description includes needing to park vehicles, door attendants must bring a clean driving record. This includes little or no traffic violations or at-fault wrecks. Most companies either require or prefer door attendants to have a high school diploma. Even where these are not express qualifications, candidates might have to meet minimum age requirements such as being 21 years old. In general, companies train doormen in company policies and culture, features of the building or establishment and rules on behavior by employees, tenants, shoppers or others present on the property. Door attendants may receive orientation information on emergency contact numbers and hotel staff to contact for incidents or when guests need assistance. For doorman who must have CPR or AED certification to meet a particular employer’s qualifications, training and the resulting certification comes from the American Red Cross. Candidates may take training in person or online. Medical centers and community organizations may also provide First Aid courses and other instruction in how to handle injured persons. At upscale hotels or medical establishments, doormen may need prior work experience to be a part of their doorman job resume. This may come from working security or being a door attendant at clubs or public events such as concerts and games. Hotels or resorts may prefer applicants with prior employment in the hospitality industry. The doorman job description for medical centers might require being able to perform CPR, AED or other First aid services on guests. Beyond medical centers, some hotels or retail establishments may rely on the doorman to attend to shoppers or visitors with health problems requiring First aid. At retail stores, door attendants often have the role or title of a greeter. In addition to welcoming shoppers and guiding them to particular departments, retail door attendants often request receipts from shoppers leaving with unbagged merchandise to verify it was purchased. With hotels, resorts and medical centers operating at all hours and days, doormen typically can expect to be needed nights, weekends and holidays. 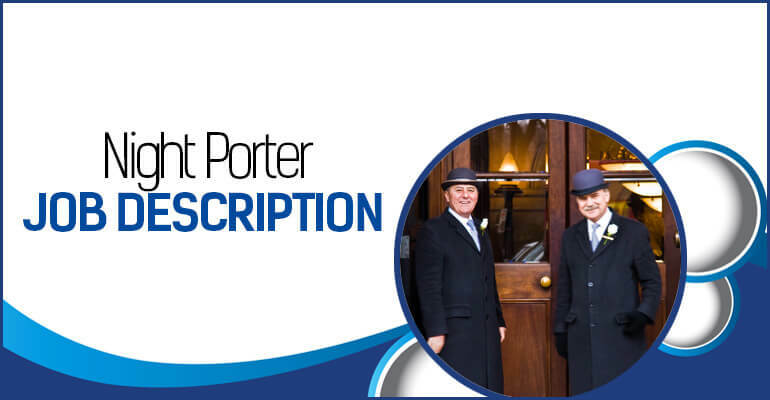 Also, you can check out the night porter job description. Some stores are open 24 hours, which means some greeters report for late-night and weekend shifts. Late shifts are also possible for attendants working at nightclubs. Doormen normally work full-time, though some part-time work might be possible. The popularity of tourism will sustain demand and opportunities for doormen in the hospitality industry. So, according to marketing analyst and blogger Brandon Gaille, tourism companies ranked as a group among the top three employers in 32 states. The U.S. Government reports that the domestic travel and tourism industry hired an estimated 7.6 million workers in 2016 and was responsible for $1.5 trillion of economic activity in 2016. Prospects for door attendants in hospitality appear stronger in large cities and resort areas such as mountains and beaches. In particular, these places are likely to have either the higher-rated hotels that are likely to employ doormen or have significant numbers of tourists. Urban areas are likely to have more nightclubs, hospitals or apartment complexes that rely on doormen. Finally, customer service, security and contributing to a safe environment constitute major roles of doormen. Performing the work entailed by the doorman job description requires physical stamina and concentration. To work for certain employers, doormen may need to bring skills and certification in rendering first aid. Therefore, opportunities for qualified applicants should prove ample in the hospitality, medical and night-life sectors.